Introduction- What is a cryptocurrency exchange? A cryptocurrency exchange website allows you to sell, buy or obtain cryptocurrencies in exchange for other digital currency or any other traditional currency such as US dollars or Euro. To access these facilities and to be able to trade professionally, a reliable exchange is required that normally compels you to authenticate your ID and afterwards, open an account. For other rather simpler and straightforward trades, other platform exists that do not require the user to create or verify an account. Trading Platforms – These websites charge a specific fee for providing a service that connects buyers and sellers. Direct Trading – People from various countries can exchange currency via direct trading exchanges which allow direct trading option for each person. Moreover, there isn’t a standard market price. The exchange rates are set by each individual seller accordingly. Brokers – Anybody can pay a visit to broker websites in order to buy cryptocurrencies that are being sold by the brokers at a price per their will. This type of exchange service is much similar to foreign exchange dealers. Status – The reputation of an exchange is clearly visible through all the reviews out there from individual users as well as popular industry websites. Well-known forums such as Reddit and BitcoinTalk allow you to ask any queries that you want. Fees – You can view the fee-related basic information on the websites of most of the exchanges. You have to ensure that you thoroughly comprehend transaction, deposit as well as withdrawal fees. Usually different exchanges offer different fees accordingly. Payment Methods – The number and type of payment methods being offered by the exchange carry significance as well. Does the exchange offer credit or debit card or even a wire transfer? Or some advanced exchanges might even offer Paypal. Having a restricted number of payment methods ultimately makes an exchange less favorable to use. Whereas, buying cryptocurrency through wire transfer is a primarily time consuming procedure since the banks may take some time to process the request. On the other hand, using a credit card to purchase cryptocurrency requires you to verify your identity and also pay a premium amount. Verification Requirements – A specific ID authentication is required by most of the UK and US-based Bitcoin trading platforms for transactions. Your identity may remain hidden in case of some basic exchanges while the process of verification can be time consuming and may seem irritating but it’s worth it in turn for the protection it offers against all sorts of money laundering threats and scams. Geographical Restrictions – Some exchanges offer their services based on geographical restrictions and a few services might not be accessible from specific countries. It is important to ensure that the exchange to be joined provides you a global access to all services with regard of the country that you are living in. Exchange Rate - The exchange rates vary from one exchange to another. You can save your money if you are willing to shop around and rarely do rates up rise to 10% or higher in any case. 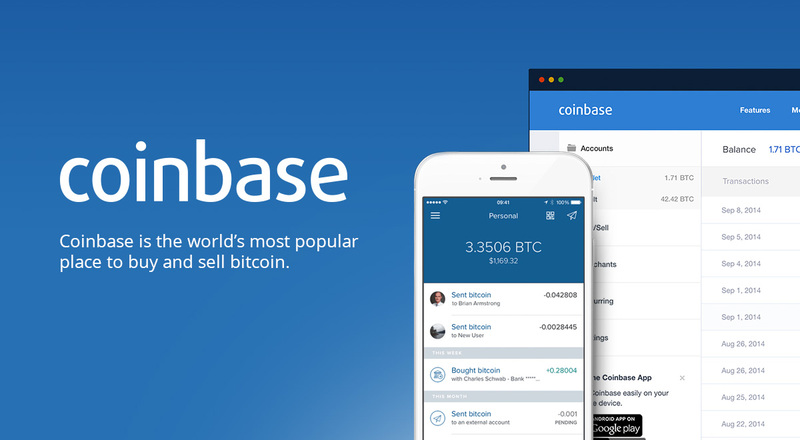 Coinbase is one of the most globally trusted and prevalent exchange platforms used in the world day and it is being used by a wide majority of customers and investors. This platform allows the secure trade, buy or use of digital currency. A digital wallet is accessible on Android, and iPhone through which users can buy Ether, bitcoin or the most recent Litecoin from this exchange platform. The same can be achieved via trading with other similar users on Global Digital Asset Exchange (FDAX) subsidiary of the company. At the moment of writing, GDAX doesn’t charge you with any amount in the name of transfer fees while transferring assets or capitals between your GDAX and Coinbase account. However, the list of currencies available for trade is still dependent on the zone and country that you are living in. Provides security, Good reputation, convenient for beginners, rational fees, stored currency is enclosed by Coinbase insurance. Restricted payment methods and restricted number of countries supported, Customer support, non-uniform rollout of services globally, GDAX appropriate for technical traders only. Kraken is one of the partners in the foremost cryptocurrency bank and it is certainly the largest exchange as far as euro volume and liquidity is concerned. With the use of Kraken, you can sell or buy bitcoins as well as perform trade between a number of currencies i.e US dollars, British Pounds, Euros, Bitcoins, Japanese Yen and Canadian Dollars. Moreover, apart from Bitcoin other digital currencies are also supported for trade for instance Monero, ICONOMI, Etherum, Etherum Classic, Zcash, Ripple, Dogecoin, Augur REP tokens and Litecoin. Initiated in 2011, Kraken provides more trading features and margin trading for its experienced users. Thus, Kraken may prove to be the Best choice for traders that are much experienced in their domain. More appropriate for experienced users rather than beginners, unintuitive user interface and some restricted payment methods. This exchange platform allows users to trade cryptocurrencies for flat money and vice versa as well. A wide variety of services is available here for using cryptocurrencies and bitcoin. Cex.io offers professional-looking trading dashboards and margin trading for more experienced and professional bitcoin traders. For beginner and novice traders, the platform also provides a brokerage service that guides traders in purchasing bitcoins at suitable prices in accordance with the trade market. Moreover, the platform is much secure and you can also store your cryptocurrencies in safe cold storage. Credit cards supported, decent reputation, novice friendly, good mobile product, globally supported and a fairly good exchange rate. Expensive depositing, worn out authentication process and an ordinary customer support service. Poloniex offers more than 100 Bitcoin cryptocurrency pairings and innovative data analysis told for professional traders. It is one of the leading cryptocurrency exchanges in the world today since its initiation in 2014. Since it is one of those popular exchange platforms that offer the highest trading volumes, it allows the users the capability of always being able to close a trade position. Fees vary in Poloniex and are mainly dependent on a maker-taker fee schedule based on some certain volume-tiered criteria. The fees range for makers is usually 0 to 0.15% reliant on the amount that is traded. No withdrawal fees are charged apart from the transaction fees while fees may range 0.19 to 0.25% for takers. 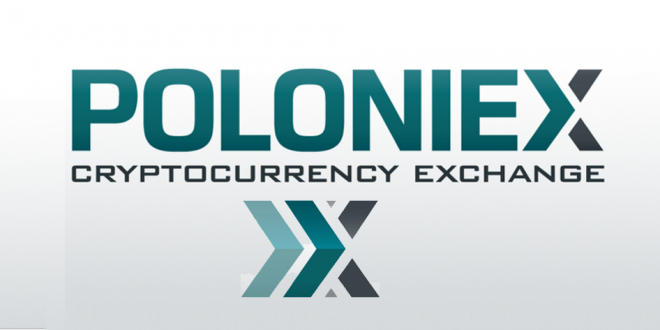 Poloniex exchange platform also offers a unique and convenient tool known as the chat box which continuously gets filled with user comments and helps in about everything. However, unsuitable comments are obviously removed by moderators. This Chatbox is an extremely helpful tool for making decisions but occasionally it might seem difficult to distinguish the bad advice from the good one. A variety of features offered, High volume trading, user-friendly, minimal trading fees, an open API, BTC lending and a swift account creation process. Below average customer service and no flat support provided. 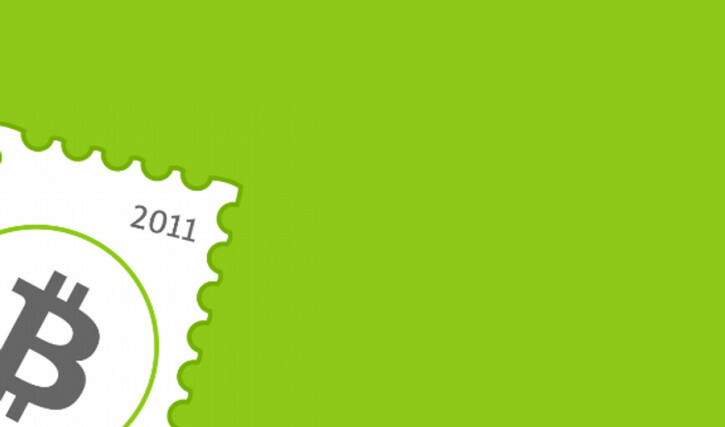 Bitstamp was founded in 2011 and it is one of the foremost bitcoin exchanges that has a loyal customer range following. Being a European Union based bitcoin marketplace, Bitstamp is reliable for the bitcoin community as a secure and well-known platform. Bitstamp focuses on the security aspect a lot and provides innovative security features such as multisig tech, a two-step authentication as well as a fully-protected cold storage. It also offers an efficient 24/7 supports and a user interface that is available in multiple languages. Users can begin trading instantly after they create a free account and make a deposit. Accessible worldwide, minimal transaction fees, Appropriate for large transactions, top-level security and a decent reputation. Limited payment methods, depositing is expensive, not suitable for novice traders. Bitsquare trade exchange is popular as a decentralized and user friendly peer to peer exchange. Users are not required for registering in any manner and Bitsquare ensures not to hold user capitals. No user personal data is exchanges except between trading partners. Bitsquare offers advanced security features such as multisig addresses and a purpose-built arbitrator system for resolving trade disputes. For traders that are willing to hide their identity while trading and have a problem trusting anyone, this is undoubtedly the best available platform for them. Restricted payment options, ordinary customer support service and not suitable for novice traders. Gemini was co-founded by Cameron Winklevoss and Tyler and it is a completely licensed Ether and Bitcoin exchange for the US. In terms of its regulatory standards and capital requirements, Gemini most closely resembles a bank. Gemini stores the majority of its users’ digital currency in the safe cold storage. Gemini does not support cryptocurrencies other than Bitcoin, Ether and US Dollars. It follows a maker-taker fee schedule and offers discounts for trades with high volumes. There is no withdrawal or deposit fees. This exchange platform is completely available to users in Hong Kong, Singapore, South Korea, Canada, UK and 42 US States. Secure, user-friendly design, high analytics, high liquidity and slick. Only three cryptocurrencies supported, an average customer support, restricted availability globally and no margin trading. GDAX is the new home for Coinbase’s exchange trading platform. GDAX was founded as GDAX.com and it is a fully regulated and US-based cryptocurrency exchange. It is intended towards professional traders and it offers an excessive variety of digital currency pairs including the main popular cryptocurrencies such as BitCoin and Etherum etc. It also follows a taker-maker fee schedule and no fees are charged on maker trades while taker fees start off at 0.25%. GDAX is known for its low fees, with no fees charged on maker trades. The company offers volume based discounts which can lower the fee to almost 0.1%. One of the most useful features of GDAX is that it allows customers funds to be FDIC insured, thus ensuring that each customer will be compensated up to $250,000 in case of any loss. Not recommended for beginner traders and an average customer support. Bittrex is one of the leading exchanges today in terms of security aspects and is also well-known for offering numerous trading market categories. A market exists where trade can be made against etherum and a separate bitcoin trading market also exists. Markets that suffer from liquidity are apart from verified markets. However, bittrex seems to be struggling a lot for volumes. Based on their top-level security measures, bittrex remains one of the few cryptocurrency exchanges to never be hacked till now. Top-level security, multiple trading market categories. Low trading volumes, an expensive platform with 0.25% fee. Thus, we have reached the conclusion for the top-rated cryptocurrency exchanges in the world today and while some exchanges may seem appealing on account of the advanced features and user-friendly GUI, it is important to note that one must choose an exchange based on his level of expertise as either a novice or a professional. Take into account all of the features discussed above and hopefully you will join the perfect cryptocurrency exchange for you.